An important part of buying a house is getting your financial life in order. One reason is that the higher your credit score, the better rate you’ll secure for your mortgage. Mortgage lenders look at your credit score to determine how smart and diligent you are about managing your debt, which could indicate how disciplined you’ll be about making your mortgage payments on time. If you’re preparing to buy a home, here are some things you’ll want to avoid that can negatively impact your credit score. Preparing to buy a home means you need to check your credit report. 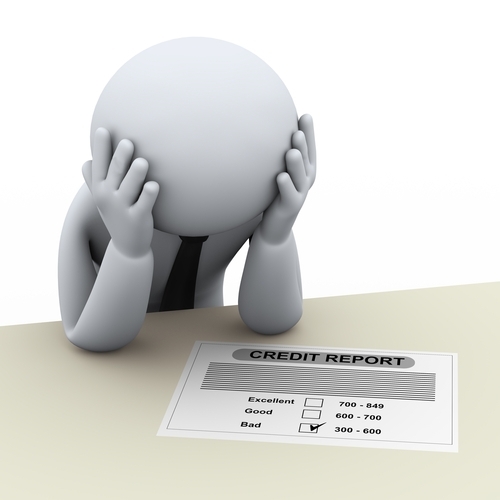 Around 25 percent of credit reports contain errors, which can negatively impact your credit score. You can check your report for free every year. If you find any mistakes, including an address or credit card that isn’t yours, you should take the necessary steps to have the error corrected. Think it doesn’t matter whether or not you pay your bills on time? Think again. Your payment history is a significant factor in determining your credit score. The more often you make late payments, the lower your score will be. If you find yourself behind on a payment, call the customer service department. In some cases they will give you a goodwill adjustment or delete the incident from your history if it was the first time. While paying off and closing an old credit card seems like it would be a good idea, it’s not advisable to do it before you apply for a mortgage. Closing old accounts can decrease your credit history while increasing how much of your available credit you’re using. Avoid closing your oldest card if at all possible. If you rack up unpaid state and federal taxes, it can damage your credit for up to 15 years – not a great idea if you’re hoping to buy a home. In addition, tax liens that are paid remain on your report for seven years. Pay those taxes, folks. If you’re getting your finances in order to buy a home, avoid using credit to finance a major purchase such as a car, appliance or vacation. Up to a third of your credit score is influenced by how much debt you carry and affects your debt-to-income utilization ratio. The more debt you take on, the lower your credit score will be. This may come as a shock, but that $4.25 you owe the library can actually harm your credit score. And if you’re sitting on parking tickets, get those paid off as well. More and more local governments are reporting these types of unpaid fees to collection agencies, which will then show up on your credit report, negatively affecting your score. In the end, being responsible about your purchases, making your payments on time, settling debts and being diligent about spotting errors are the best ways to make sure your credit score is as high as it can be.